Every cosmetic brand wants to draw more customers and to boost sales for their products. Competition is getting tougher than ever, to get customer’s attention brands need to stand out on all levels. From product to packaging, unique identity will help you to draw sales and to market your product. Like any other product, perfume packaging also needs to stand out from the competition. Packaging will help you to separate your product from other similar items and make it easy for customers to identify your brand. It can be difficult to stand out with the product but not with packaging. You can differentiate with custom perfume boxes in many ways, some are given here. A common mistake which most of the brands make is they use the low-quality material to save some cost. That is not the solution for an affordable packaging, it will only be worse in the long run. Always use the high-quality material for your perfume boxes. You don’t have to worry about its protect ion and shipping. Customers will perceive your perfume as a quality product and tend to buy it more considering it as a luxury product. Traditional packaging is getting old as it hides the content of the inside product. Today customers want to know what they are buying. It gives them assurance in their purchase decision. Most of the cosmetic products come in boxes with a little or full transparency. It not only adds visual appeal to the product but also encourages the customer to interact with the packaging. Die–cuts allow you to add the plastic window on your perfume boxes in different shapes and size. Colors are always the best element of design in packaging. If you make the right use of color in custom packaging, you can skip graphics and patterns. You can use colors according to the type of perfumes or according to customers. Not only outside, colors can go inside also. It will make unboxing pleasant. To attract women customers, you can opt for simple and natural colors for perf ume boxes. For men, dark or white colors always work. Custom perfume boxes will only stand out if they are easy to handle, place and use. You have to make your perfume packaging by keeping form and function in mind. Make sure your packaging box should be easy to open and it is stress-free for customers to take out the product. If you come up with odd shaped boxes, it will be a practical approach. It will be hard for retailers to place the box on shelves and also for customers to handle it. When we talk about cosmetic and beauty packaging, portability is the way to go. Normally we take out cosmetic items in our make up whenever we go out for a quick touch up. Perfume is the must item to take with us during travel. So, it is crucial for brands to make sure that the packaging should travel well. 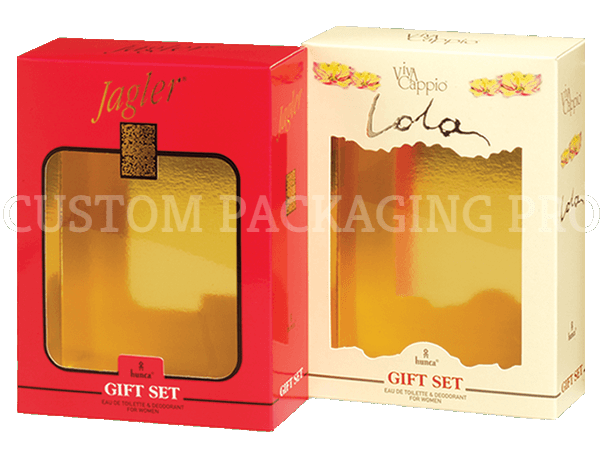 Opt for simple shape boxes and also the boxes should be durable to protect the product. Re-usability will make your customers think your packaging as a unique one. Maybe customers will use the boxes for storage purposes if it is sturdy and attractive. Moreover, you can use doodles, photographs, and imagery to make customers to reuse the box again and again. You can also encourage customers by giving them reusing ideas. It will appeal customers as everyone want to get maximum out of their money. Stickers and labels can make your packaging better. Customized stickers add beauty and elegance to the perfume boxes. You can use to seal the box properly, for branding purpose or to add call-to-action. You can use stickers in different shades or can keep them crystal clear. It will give customers a different unboxing experience. To get the most out of your perfume boxes, it will be best to work with a professional. If you have a proper know-how of designing, then you are good at your own. But if you are new in packaging, you cannot go a long way without a packaging expert. Hiring a packaging company will be worth investing. 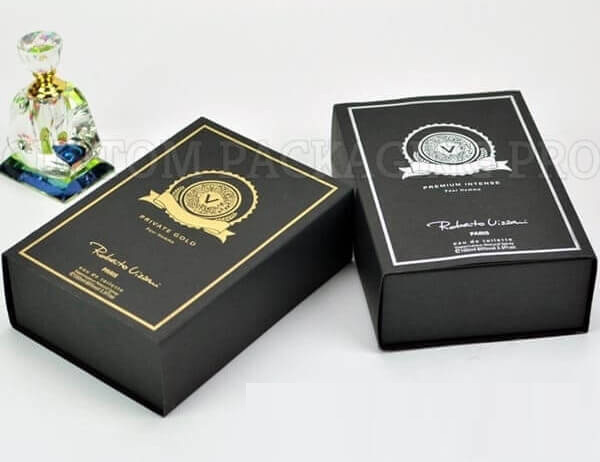 Want the best packaging for custom perfume boxes, Custom Packaging pro will help you to design packaging in a professional way. People always want something extra while making a purchase. It will help you to set yourself apart in a unique way. 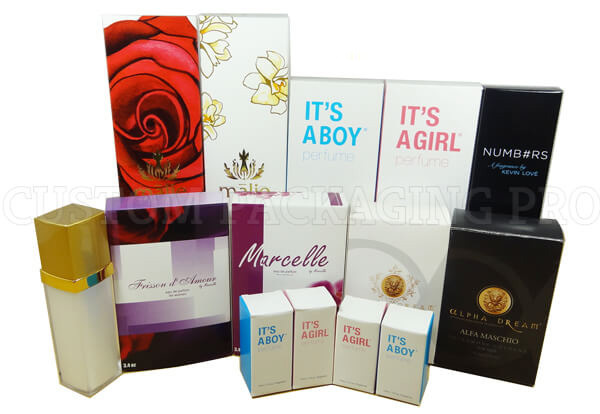 You sell perfume, you can include a small bottle of your new product as a sample to excite customers. Also, choose a big size perfume box and offer the deal of buy one get one free. You can also include personalized notes or discount coupons to encourage customers for the repeat purchase. You need to stand out with custom perfume boxes to make an impression. Above tips will help you to be more creative and practical towards perfume packaging.